This is a program where players learn by playing. BLUE: Advanced Drills; Match play. Ages 8-14. Green Dot and Yellow Balls. WHEN: Sundays, January 20, 2019 (8 weeks). 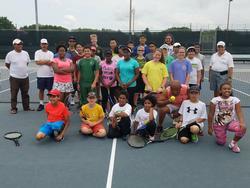 This program is a National Program conducted by Youth League Tennis. 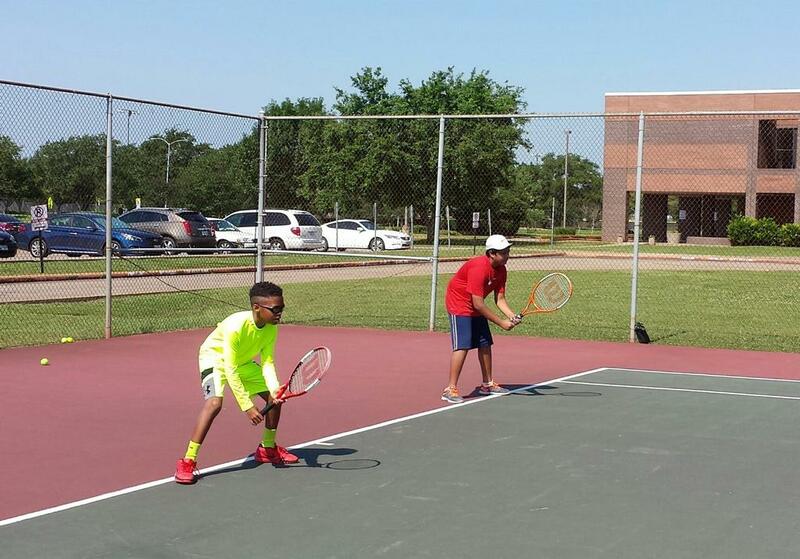 We, Fort Bend Tennis Serivces, are assisting the YLT program in bringing this program to Sugar Land. Our instructors will run the program, with over sight by FBTS, but this is a YLT Program, which has been successfully conducting programs around the country for many years. To enroll in this program click here. It will take you to another website, not the FBTS website. 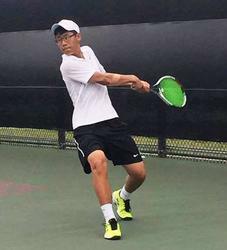 This Novice League is a program for the player who has some prior tennis experience, can serve the ball in from the baseline at least 50% of the time and can keep score. Some basic instruction is included in this league to assist the children in improving their game along with Supervised Match Play. Most children in this league have had some lessons. For players who need more Match Play experience to get them ready for more competitive play and the travelling Junior League. For ages 9-14. For players not yet ready for "Prime Time". We need at least 8 players for this program. This League is for Intermediate through advanced junior players. Play is inter-club competition among the various tennis centers in the Southwest Houston area: Sugar Land, Missouri City, Richmond, Rosenberg, Pearland and Lee LeClear Tennis Center (Houston). Matches will be either Singles and/or Doubles. The match format is an 8 game set, no-ad scoring. This is a co-ed League. FBTS Teams HOME courts will be either Clements HS courts or Sugar Land City Park courts. However, this is a traveling league, so we are HOME some weeks and AWAY some weeks. This is good for you if you are looking to make your school team, move up on your school team, improve your match playing performance or just get match playing experience as a Novice player. You may join an FBTS team or if you belong to another club, you may join their team, such as Riverbend CC, Pecan Grove, CC, New Territory TC, Sweetwater CC, etc. 10's Division will play on 60' court and use low compression Orange balls. Players should have familiarity with serving, rally from mid-court and scoring. Not for a new Beginner. This is the 38th Year of this Junior Tennis League, 1981 - 2019. Spring Season will begin late February 2019. Requests for refunds must be made in writing and emailed to: chuck@fortbendtennis.com or mailed to: FBTS - 3536 Hwy 6 South, #132 - Sugar Land, TX 77478. Refunds must be requested prior to the start of the league season unless there are special circumstances.